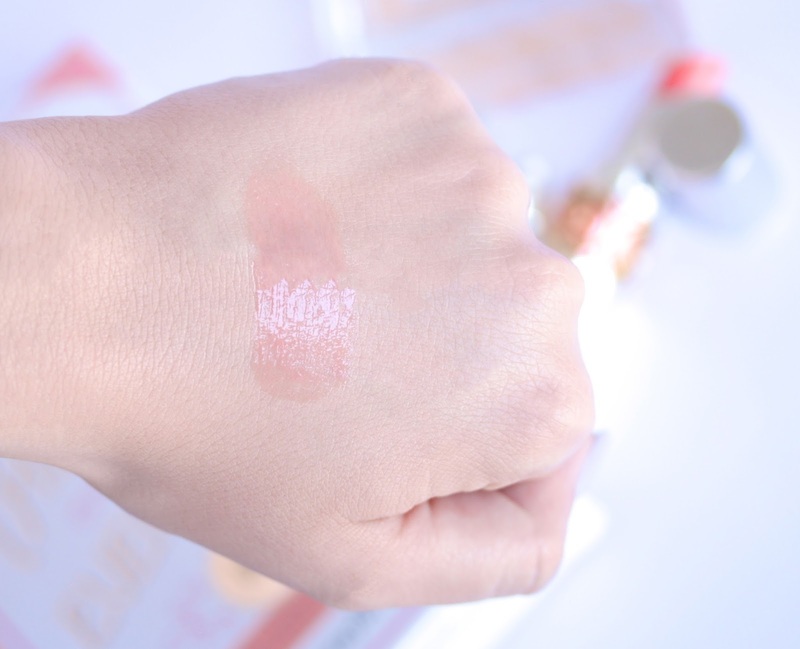 As I said, being legit lip balms Volupte Sheer Candy are definitely not opaque and not very pigmented, so if you’re looking for something with more coverage I’m afraid these babes may not be for you. I feel like I say this in pretty much all my lip product reviews but these balms are not long lasting at all. They stay on my lips for about half an hour and then I need to reapply, which is quite annoying but at least I have a reason to pull out and admire the fab, luxurious packaging! :) This lip balm feels moisturizing initially but after a while (if it’s still there hah) my lips kind of feel a bit dry and tight. Since I have insanely dry lips it could be just me though, because my best friend says she finds it super hydrating? On a different note, Dewy Papaya applies like a charm and glides on super easily. 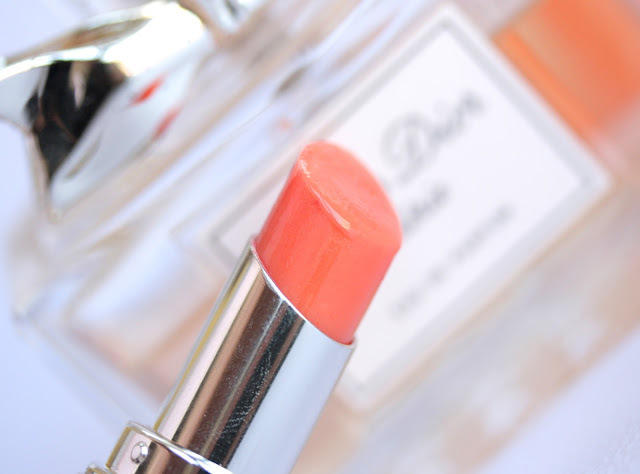 It has a lovely cream, emollient texture, which feels so soft and smooth on the lips when applied. What I adore about this product, besides the shade, is its yummy fruity scent, which reminds me of exotic tropical islands and makes it great for the summertime! In a nutshell, I’d say that Volupte Sheer Candy Glossy Balm in Dewy Papaya is a nice but definitely not great product. It is neither very moisturizing nor long lasting but its gorgeous summery shade and the fab packaging kind of make up for that a bit. However, I don’t know the price of $32/£23 could be justified and this is a lot of money for a tinted lip balm! If you’d like to treat yourself then you may consider getting this though, especially if you are a lip balm kind of gal. 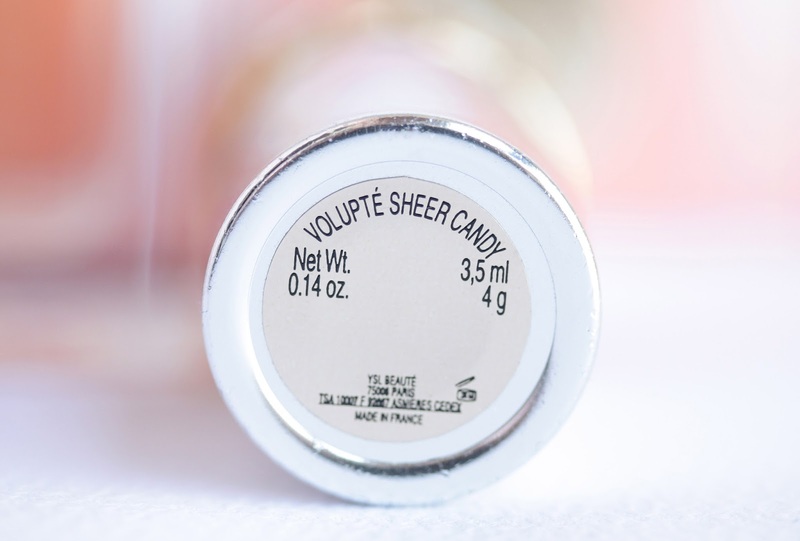 I don’t regret buying this because I still use it and I quite like it for the summer, but to be honest I won’t be getting any of the other Volupte Sheer Candy Glossy Blams, for my they are just not living up to their high price tag. От доста време гледам червилото (за balm определено няма да дам толкова пари) и заедно с YSL Touche Eclat са ми в списъка <3 . Блогът ти е супер и го чета от доста време без да имам представа, че си българка докато не видях коментар хаха :) Поздравявам те. I love the shade that you got! I also really like the fact that it's scented. I've never tried the sheer balms but want to now. I'm not a sheer lipstick person, I love my brights! However this looks like such a gorgeous colour, I need to try a YSL lippy! This looks stunning - just like your photos! thanks for visiting my blog! these looks so pretty :) defs putting one of my wishlist now! It's a shame that it's not an amazing product because the packaging is definitely amazing and worthy of a place on my dressing table! Изглежда страхотно, аз не притежавам нито едно червило на YSL, имам само един от стейновете им, но за в бъдеще се надявам да успея да си взема това онова, че съм хвърлила око на няколко цеята. This is actually on my list to look at for my birthday! I want the sheer candy one instead of a lipstick because they are going to go bad eventually so I might as well love the packaging and reapply regularly! nice colour ! gotta get one ! I don't know if I'll be picking any of these up; they are pretty heftily priced for a balm. I own one of the original YSL Rouge Volupte though and I do love it! Pretty but I don't think I'd pay the YSL price tag for such a sheer colour. Although I know this product does hit the spot for a lot of people! This is by far my fav lip product! I don't go anywhere without one in my bag. I havent tried their sheer candy gloss balms but this looks amazing!! I love YSL lip products in general. They are a little pricey but so luxurious! 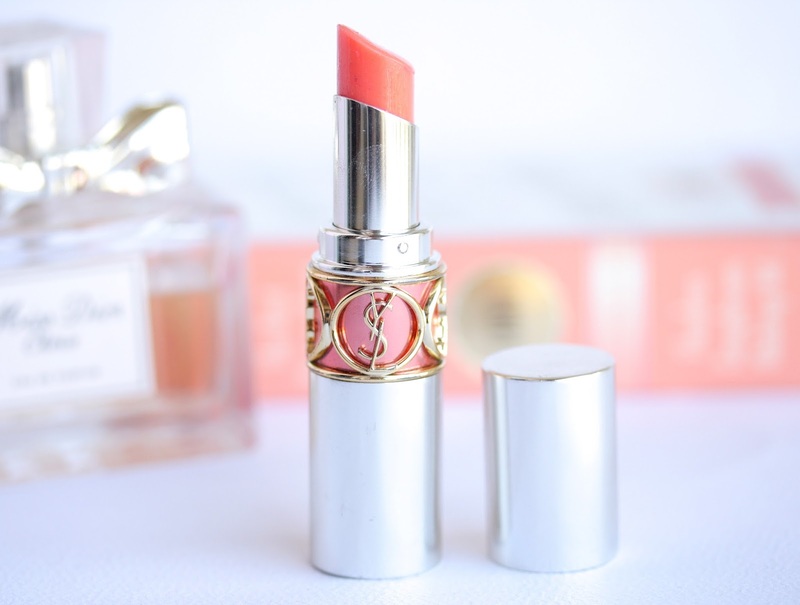 I have a Rouge Volupte Sheer Candy in 10 - Tandy Mandarine as I too love orangey lip colors. It is pretty pigmented for a balm. If you find it dries out your lips after a while, it may have mineral oil in it. (Although I couldn't find anything as to whether it does or doesn't). I was using EOS lipbalms all winter and they ended up completely drying out my lips to the point that they hurt. Turns out they have mineral oil, which can actually be a drying agent. Beautiful colour, but I can't bring myself to pay that much for a lip balm! It looks really lovely, naturally, but reading your thoughts on this I don't think I would get myself one. There are such great and affordable tinted lip balms out there, I'd rather grab some of those I guess. I love that self-tan, it's really great and so cheap! 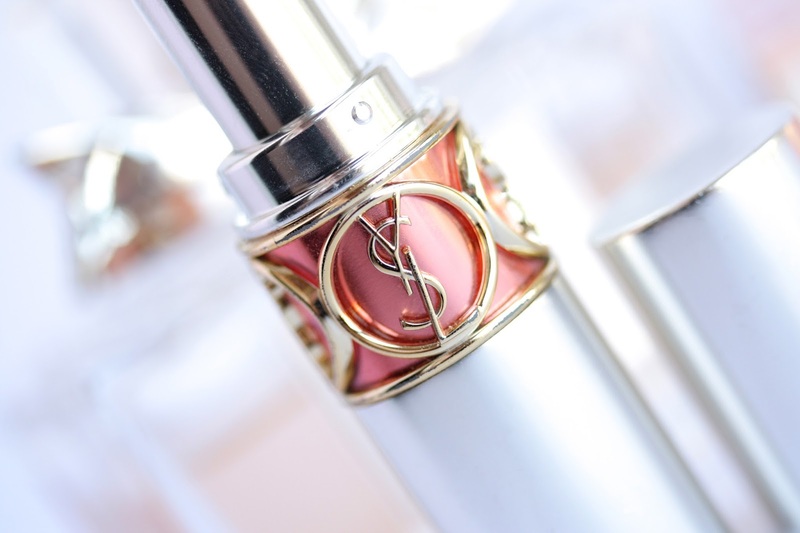 Heard so many good things about YSL, I really need to be trying it sometime haha! Love their colour selections, they all look lush! Will need to try this soon haha! 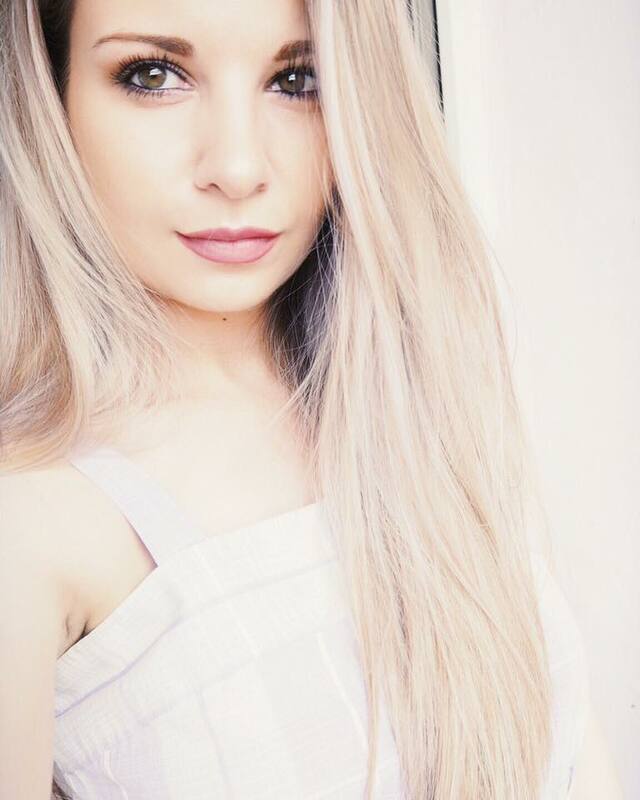 Followed you on bloglovin', I love your blog so much! Can't wait to see more from you in the future!